Online quotes or home visits. Insured Moving Services with Assured Prices. Accurate quotes not guess work is the best way. Furniture Dismantled & Reassembled – Fragile items. Packing & all the Materials. Secure tracked vehicles & staff. A fully Insured friendly service. Site visits or Online Quotes. Insured Moving Services with Assured Prices. Over 35 years experience in Home & Office Removals within London, Hertfordshire & Essex, or for a UK delivery. 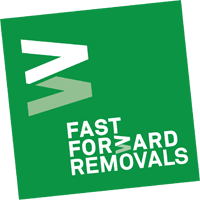 Thousands of satisfied customers regularly use Fast Forward, our experienced team offer a range of services to meet your personal & specific needs. We want your moving day to be successful as much as you do. Competitive prices, everything agreed in writing. No hidden charges! Once you have contacted us about your move and given us the details, we start working on your Quotation. We calculate your price on the following aspects: The size and weight of your move, the correct sized vehicle to meet your needs and property access, the size of the moving team we will require and what service package you choose. A quotation will be sent to you for your approval, including a copy of our Terms & Conditions, our Service Commitments and Insurance Cover. Should you decide to accept our quotation, please contact us as soon as possible to book your removal date and time to avoid any disappointment. We offer a fair, first come, first served booking system, but if we have the availability we will do our best to accommodate you at short notice. When we have agreed a date and time you receive a written confirmation from us, your moving slot is guaranteed! Now you can sit back & relax. Our experienced Removal Teams are trained, fully insured and have completed all their necessary checks. Our team will arrive promptly at the agreed time and destination, complete with your move paperwork and requested packing materials and equipment. The Team Leader liaises with yourself and the Move coordinator in the Office, throughout the duration of your move to ensure a stress-free and organised move. CAREFUL MOVERS - for more comments from our customers please see our 'What our Customers Say' page.